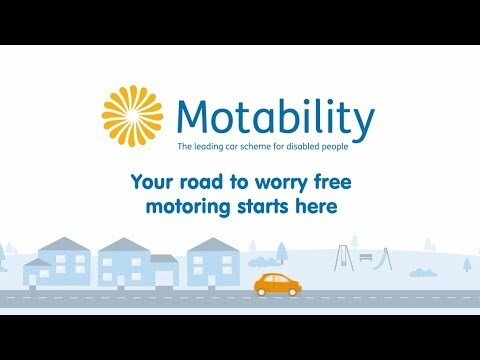 The Motability Scheme provides an affordable, worry-free way for people with physical disabilities or cognitive/mental health impairments to lease a vehicle in exchange for their mobility allowance. When you need a vehicle with the ability to adapt to your way of life,the Caddy Life has the answer. The range seats up to seven with flexible seating that can be configured in a variety of positions, or completely removed to create a cavernous load area that’s able to cope with bulky items that wouldn’t easily fit into a conventional passenger vehicle. The Caddy has been designed as a space in which you will enjoy spending time. The latest generation of high-quality radio and navigation systems impress with their intuitive control and excellent sound. In addition, the latest heating and air conditioning systems create the right atmosphere for pleasant driving. The Shuttle offers a choice of short or long wheel base with a variety of optional easy-entry seating configurations, enabling you to tailor your vehicle to your own specific requirements. We know that flexibility is key, so the Shuttle's standard seating for eight can be configured in multiple layouts, or completely removed to create a generous load area. If you have purchased a Motability vehicle at North Wales Volkswagen Van Centre we would love to hear your feedback. By leaving feedback you can help us improve the level of service can we offer, supporting all levels of disability. If you would like to book an appointment, our specialists will be happy to discuss our Motability scheme, providing support and guidance regarding the options which may be suitable for your individual requirements. Terms and Conditions apply. To qualify for the Motability Scheme, you must be in receipt of the Higher Rate Mobility Component of the Disability Living Allowance, the Enhanced Rate of Mobility Component of the Personal Independence Payment (PIP), War Pensioners' Mobility Supplement or the Armed Forces Independence Payment (AFIP). Applications must be received and accepted by Motability Operations by 30 June 2019. Offers may be varied or withdrawn at any time. Subject to availability. Not available in conjunction with any other offer. At participating dealers only. Selected models only. Standard EU Test figures for comparative purposes and may not reflect real driving results. Fuel consumption and CO2 figures are obtained under standardised EU test conditions. This allows a direct comparison between different manufacturer models but may not represent the actual fuel consumption achieved in ‘real world’ driving conditions. NEDC figures derived from WLTP testing may not be equivalent to figures from NEDC testing, so comparisons may be unreliable. In addition to the fuel efficiency of a vehicle, driving behaviour as well as other non-technical factors (such as environmental conditions, including weather and traffic) play a role in determining a vehicle’s fuel consumption and CO2 emissions. More information is available at www.dft.gov.uk/vca. Other factors including trimline, extra equipment, options and accessories (wheels, tyres, etc.) may change vehicle parameters such as the weight, rolling resistance of the tyres and the aerodynamics and thus influence the fuel consumption, CO2 emissions and driving performance values.